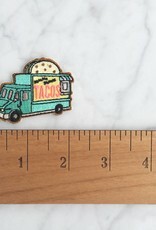 Mmmm…tacos! 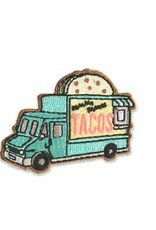 & food trucks! 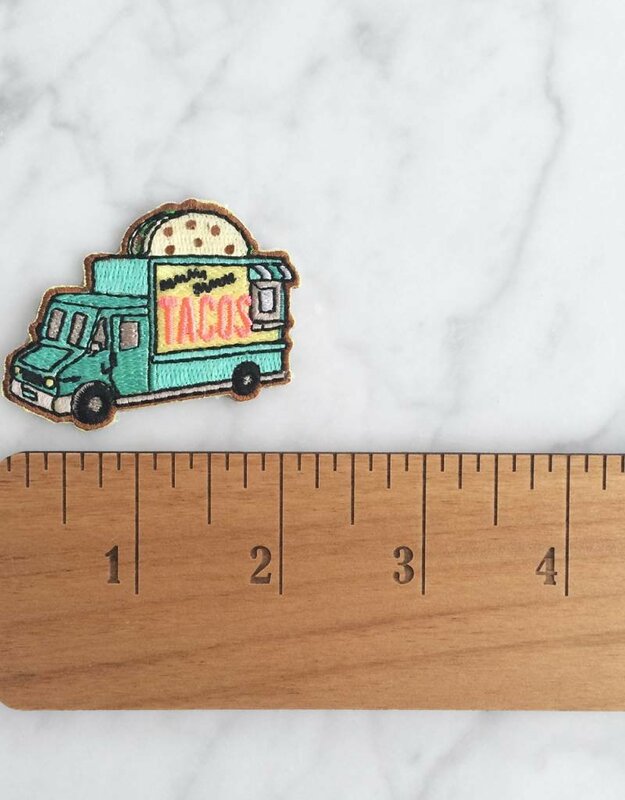 This patch is a salute to all of our fave food trucks! Features a hard shell taco on the roof cuz we like the crunch! Feed me tacos! 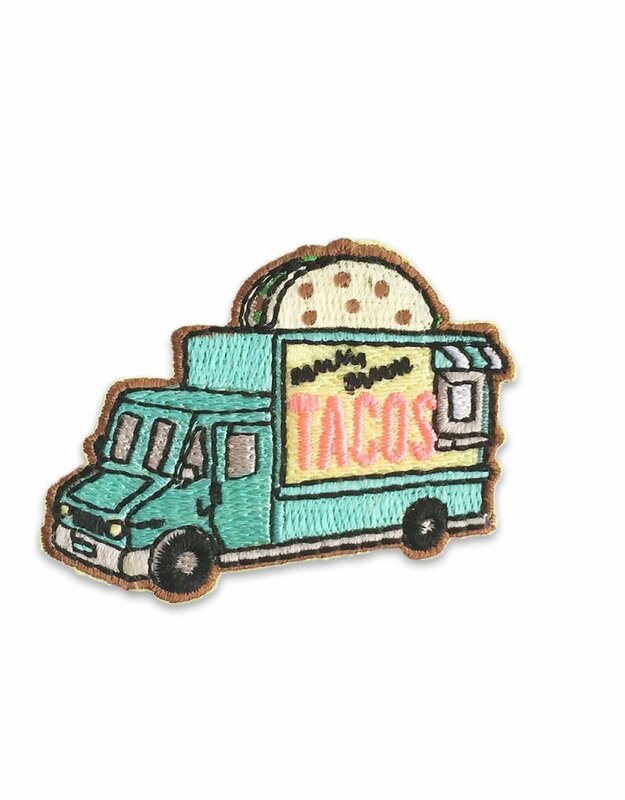 Fully embroidered patch in aqua - turquoise, neon coral.